A "total fantasist" who posted gruesome videos on Facebook of al-Qaeda beheading captives has been jailed for five years. Craig Slee, 42, of Trawden Crescent, Preston, pleaded guilty to four offences under the 2006 Terrorism Act. Slee also admitted possession of a prohibited weapon. On sentencing him at Preston Crown Court, Judge Anthony Russell QC said the videos Slee uploaded revealed "shocking and barbaric depravity". Slee also put online links to a communique by al-Qaeda in the Islamic Maghreb (AQIM), claiming those from the west were "Crusaders" and encouraging terrorism. Judge Anthony Russell QC said: "It beggars belief that anyone can have an interest in such material which reveals a shocking and barbaric depravity and complete absence of any degree of humanity. "There is no doubt that this and the other videos have been created in order to encourage people to rally to the terrorist cause, however difficult it is to comprehend that such material would have that result except for the most perverted of minds." The court heard Slee created a false identity and set up a Facebook page - using the alter-ego Hashim X Shakur - and created another account called FB Mujahideen. On his Hashim X Shakur Facebook account, Slee claimed to be a Muslim and provided personal information about himself, the majority of which was false. He later told police he did this in order to make himself sound more interesting. He also engaged in Facebook chat with other people and kept up his pretence of his alter-ego, claiming he had been on trips to Jalalabad, had suffered shrapnel injuries and implied he was a member of the Taliban, said police. However, the court heard Slee has no connection to the Taliban, Al-Qaeda or any other terrorist network or organisation. 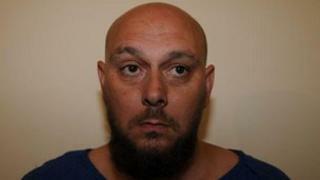 Following his arrest on 25 July, 2011 in Windermere, Cumbria, officers also recovered a can of CS gas from an address in Preston linked to Slee. Det Ch Supt Tony Mole, head of the North West Counter Terrorism Unit, said: "It is clear that Slee was a total fantasist. "He had no links whatsoever to any terrorist organisations, was not a radical convert and there is no evidence whatsoever to suggest he engaged in any attack planning." "While Slee may not have been planning any sort of attack, he could easily have influenced someone else with the propaganda he was uploading."